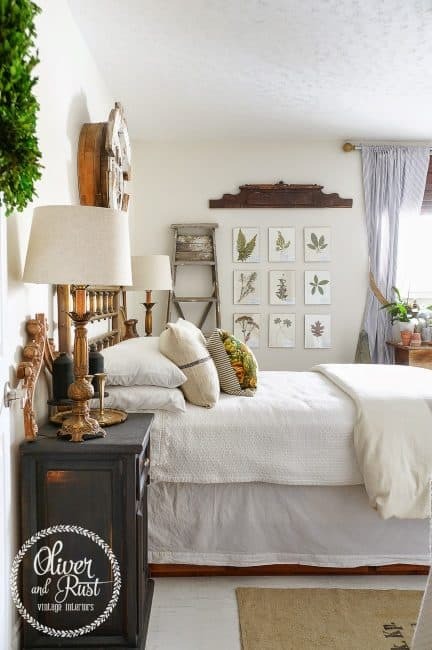 Here’s an oh, so EASY way to HANG PLATES ON THE WALL WITHOUT WIRES OR MAGIC! Who knew!!! And how fun would this be hanging on your front door? WINTER YARN BALL WREATH will warmly welcome anyone who come to your front door! I’m so happy to be your host this week! Wow – can you believe that January is almost over and that Valentine’s Day is just around the corner??? 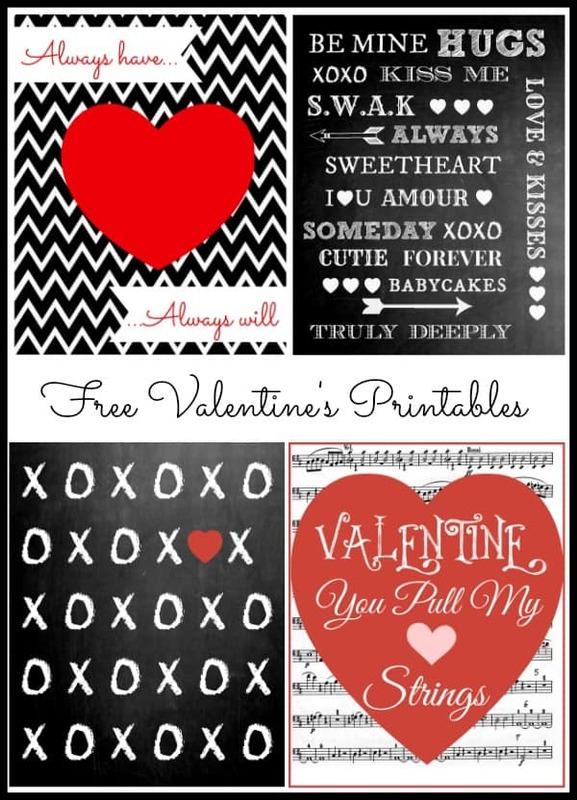 Using printables makes special day decorating sooo easy. Especially when it’s a day like Valentine’s Day where you may want to have just a little touch of something in the house. I like to put together a simple vignette, that includes a framed printable, to honor the day. I’ve created some free ones just for you! 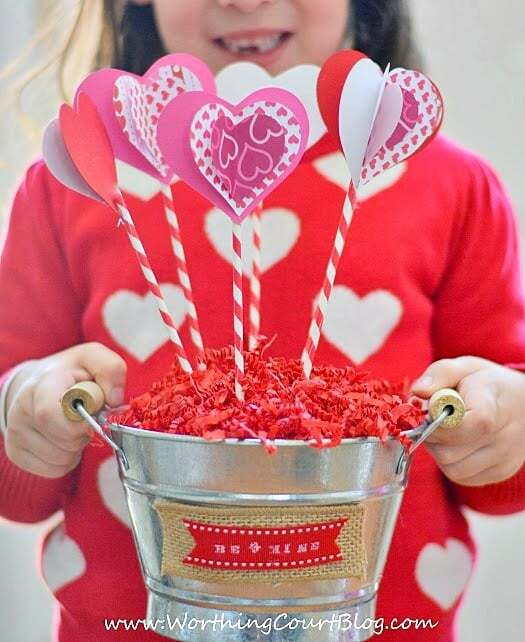 Here’s a fun and kid friendly Valentine’s Day craft. It’s a bouquet that lasts a whole lot longer than fresh flowers! I have lots to share! Click HERE for more Valentine’s Day ideas. 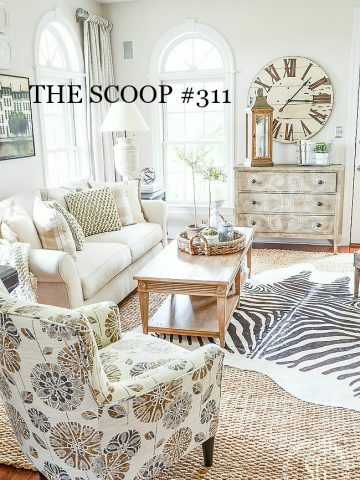 Before we get the party started, let me show you a few things that caught my eye from last week. Valentine’s Day is all about the chocolate and this decadent desert from Spend With Pennies looks easy and super yummy. 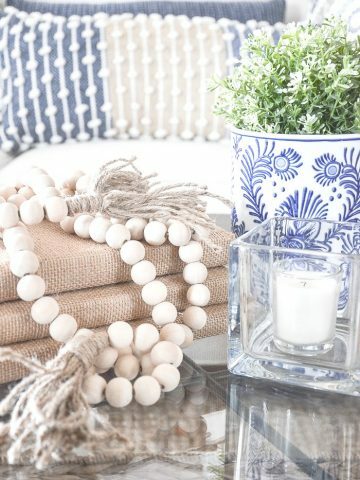 There is a ton of the inspiration in the pretty spare room reveal at Oliver & Rust. 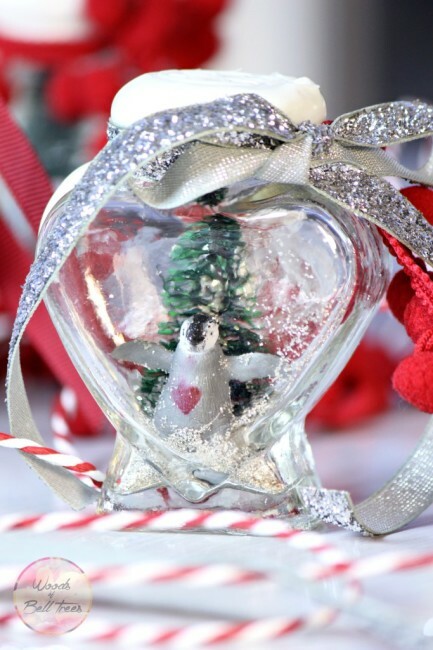 These diy Valentine’s Day snowglobes from Woods Of Bell Trees are just adorable. 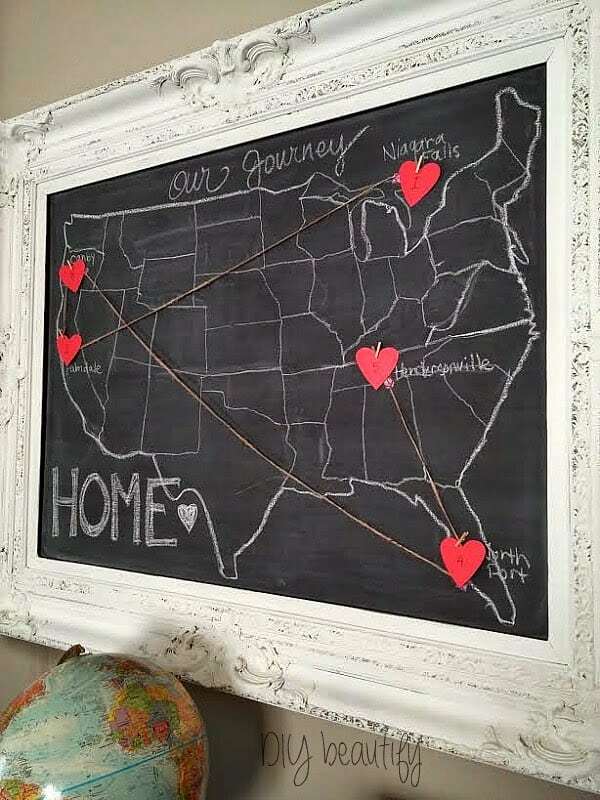 The chalkboard map from DIY Beautify is a great idea for marking your family’s journey. 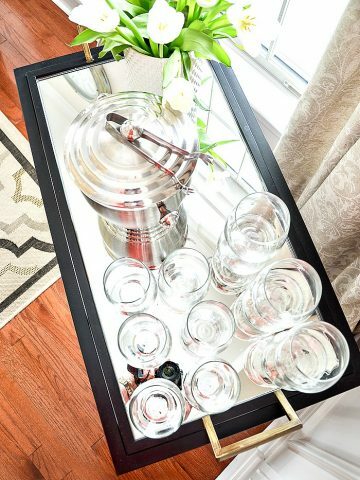 Are you setting a special table for Valentine’s Day? 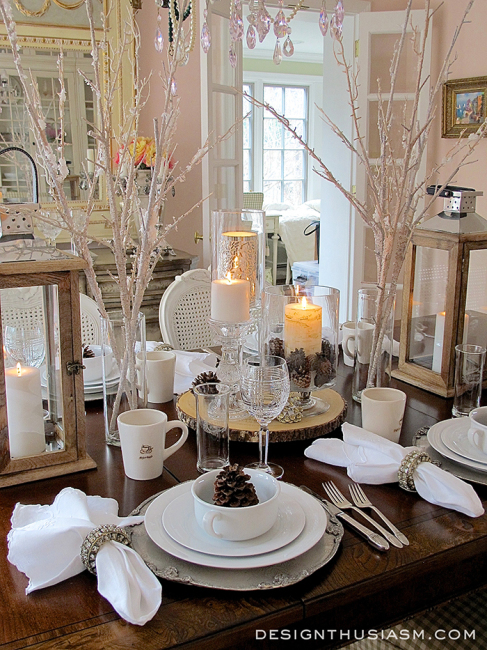 Get lots of inspiration from the pretty and romantic table from DesignThusiasm. Thank you, thank you, thank you to each of you who link up and inspire us every week! Let’s get on to this week’s party. 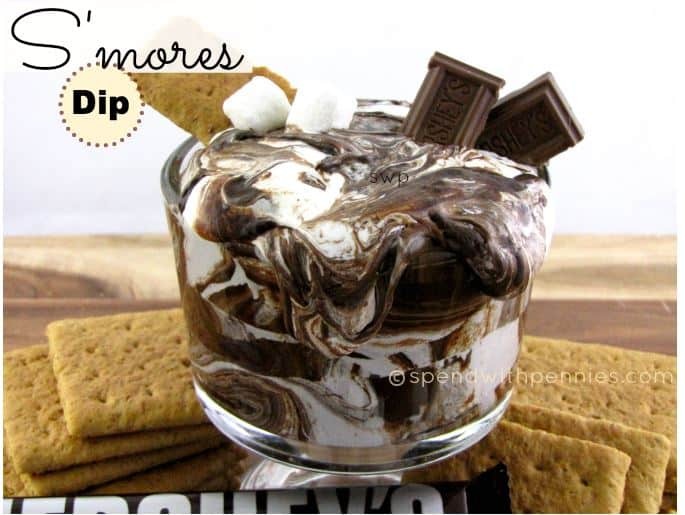 You’d have to hold me back from that S’more’s dip! Thanks for hosting Yvonne! Great features and always a great party….Stay warm and safe Yvonne!!! 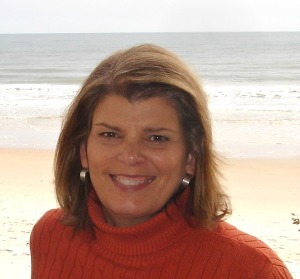 Yvonne, loved all your posts this past week, and appreciate your hosting the Scoop each week. Here’s hoping for a manageable week with the storm at hand. Yvonne, thank you for hosting. Stay warm! Hi Yvonne, hope you’re not going to be hit hard with the storm. thanks so much for hosting and stay warm! Thanks so much for hosting Yvonne! Thank you Yvonne, your yarn ball wreath is crazy fun!